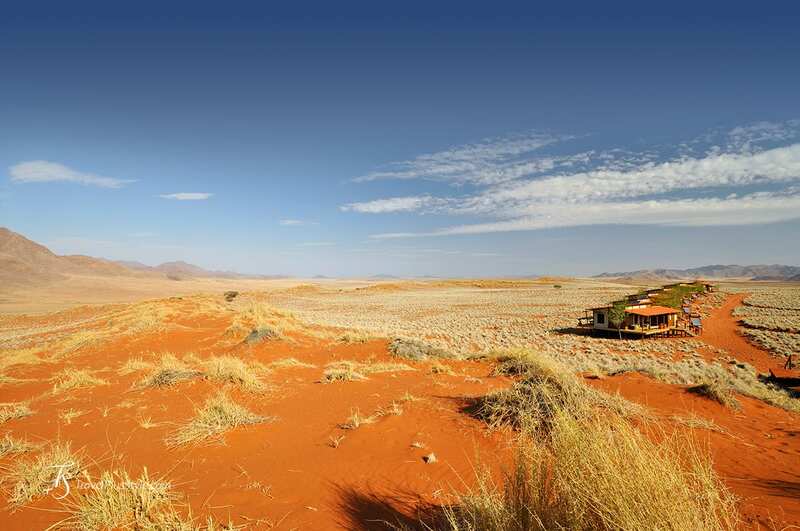 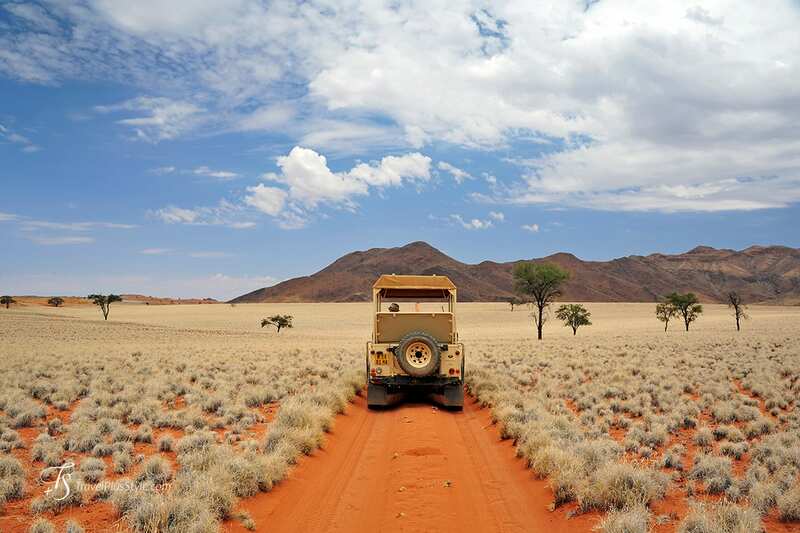 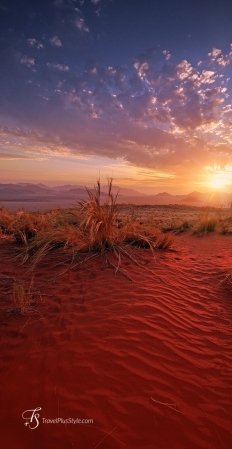 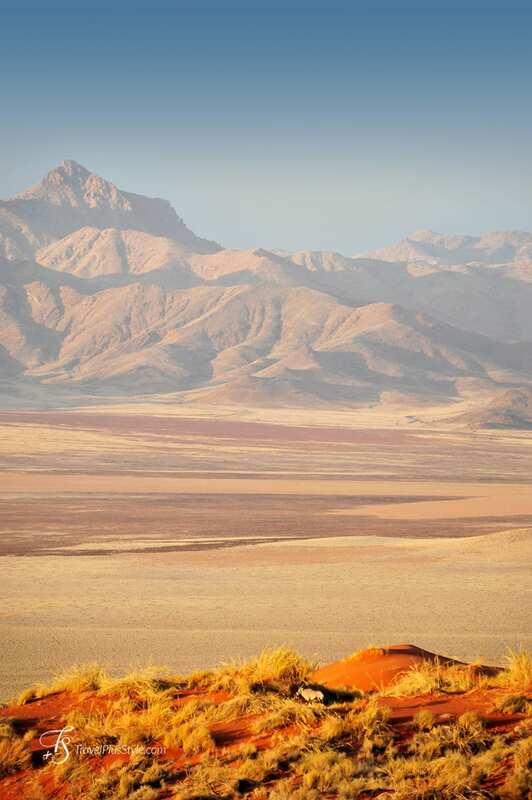 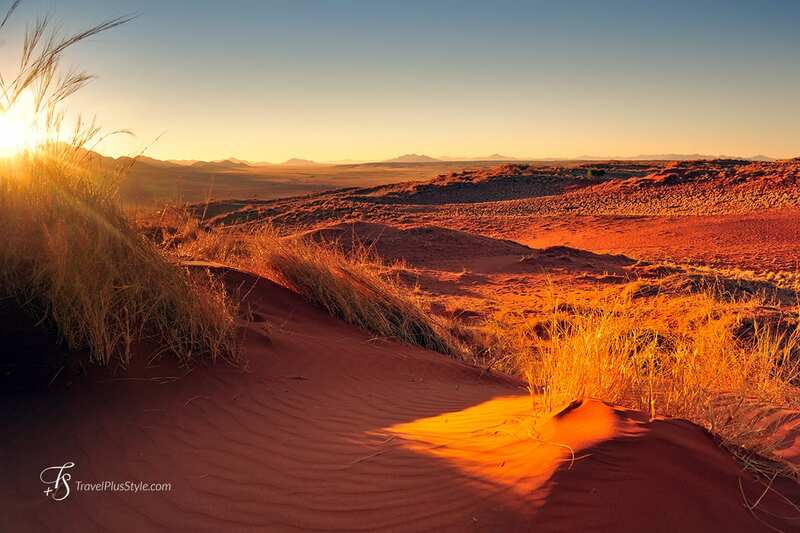 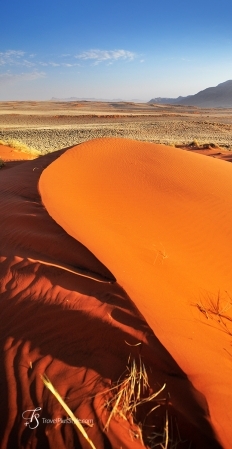 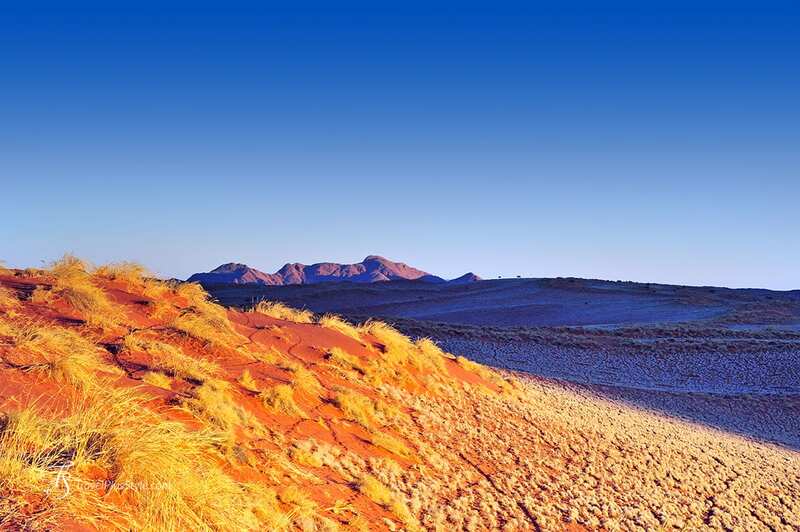 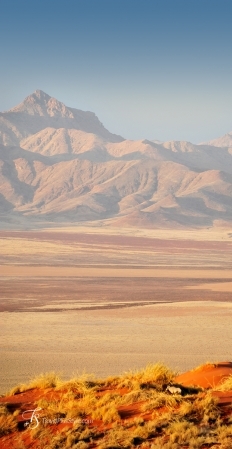 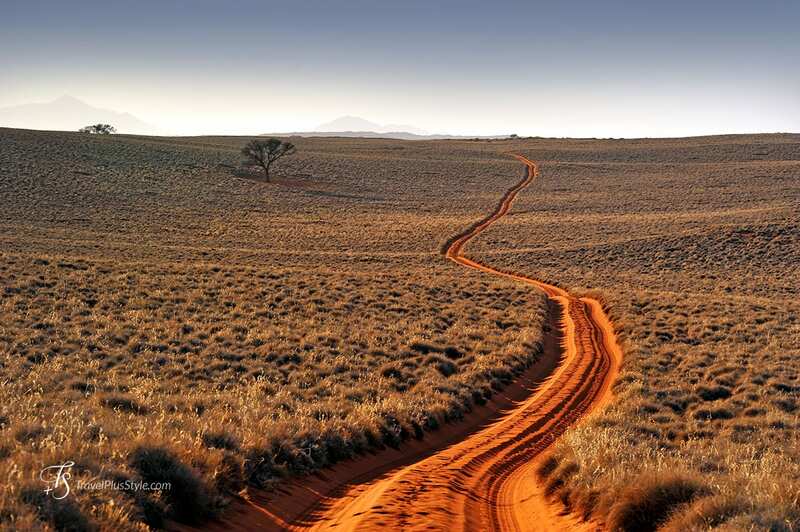 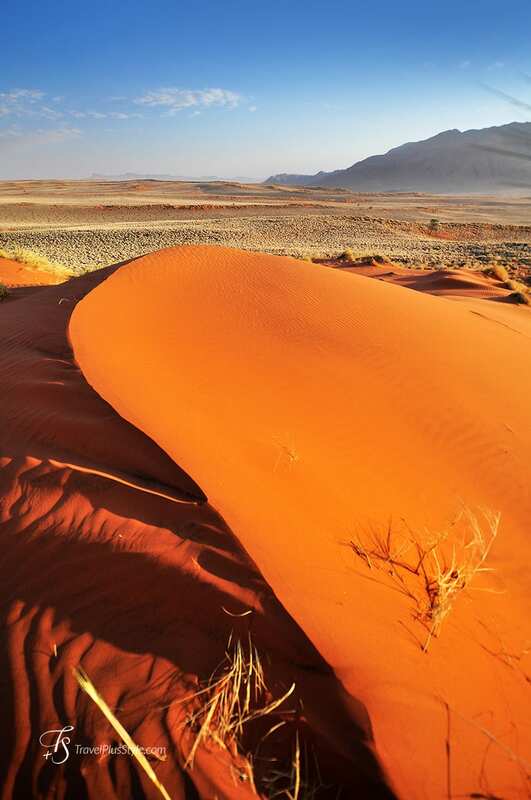 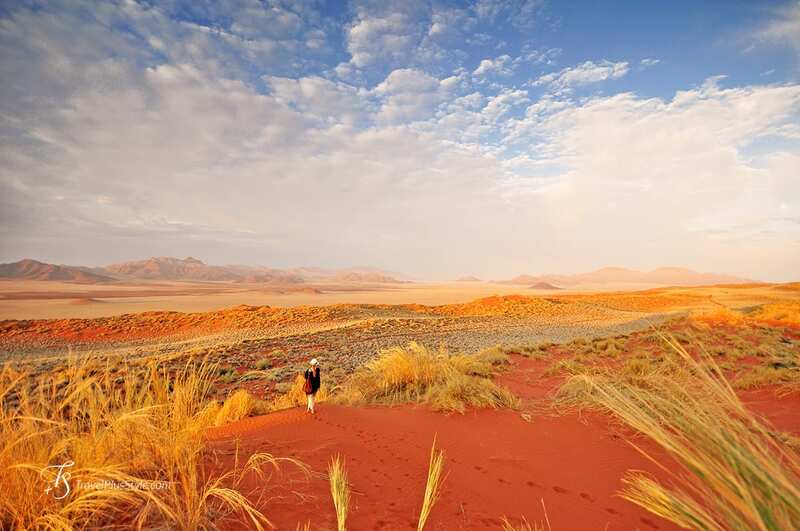 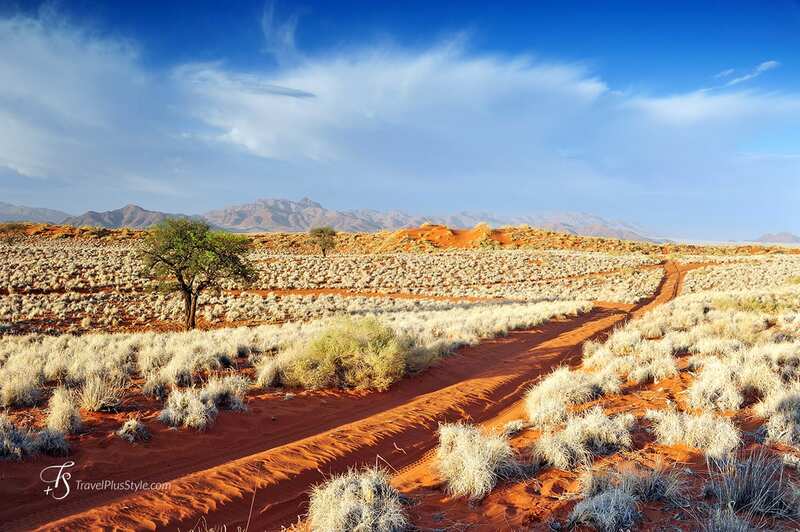 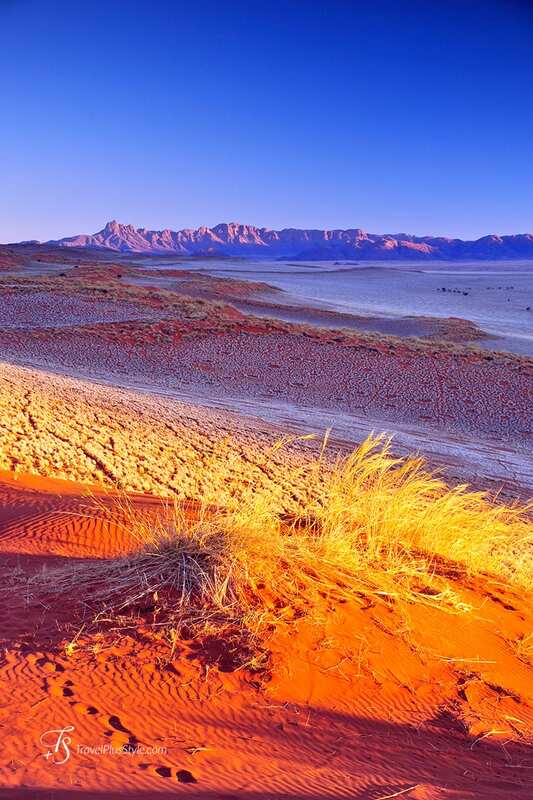 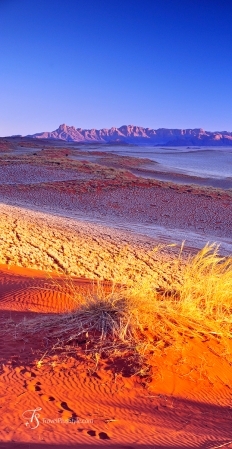 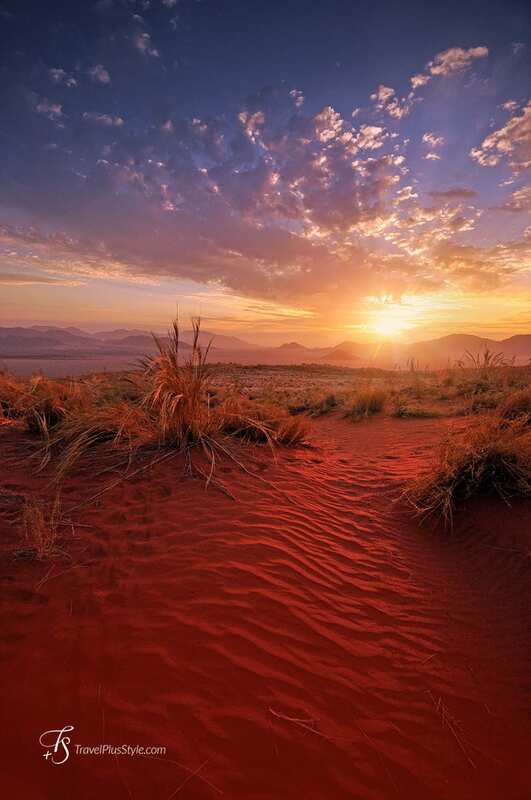 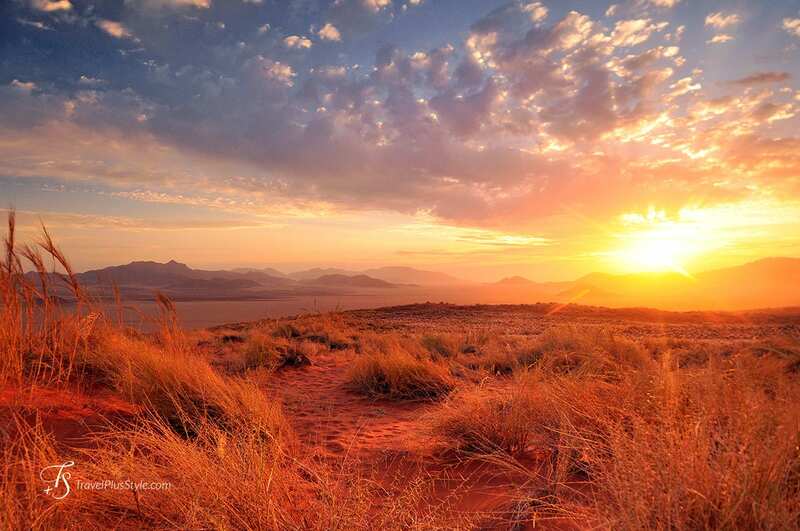 The dramatic landscapes of the Namib Rand Private Reserve define the Wolwedans Dunes experience. 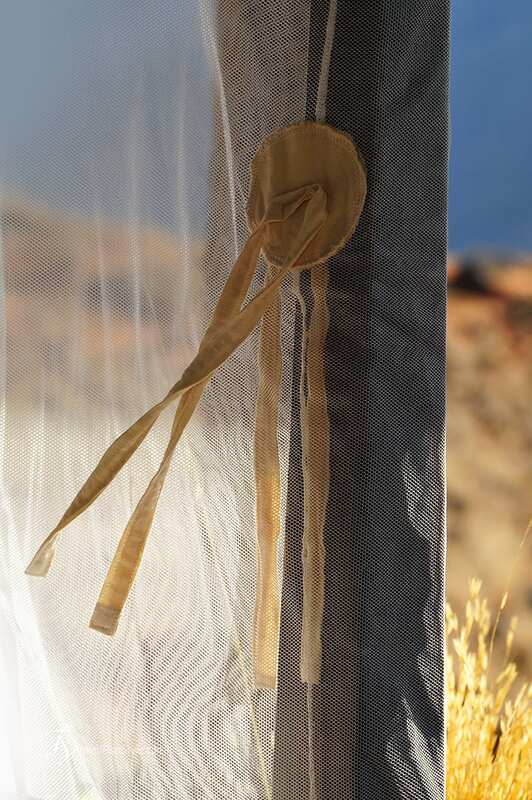 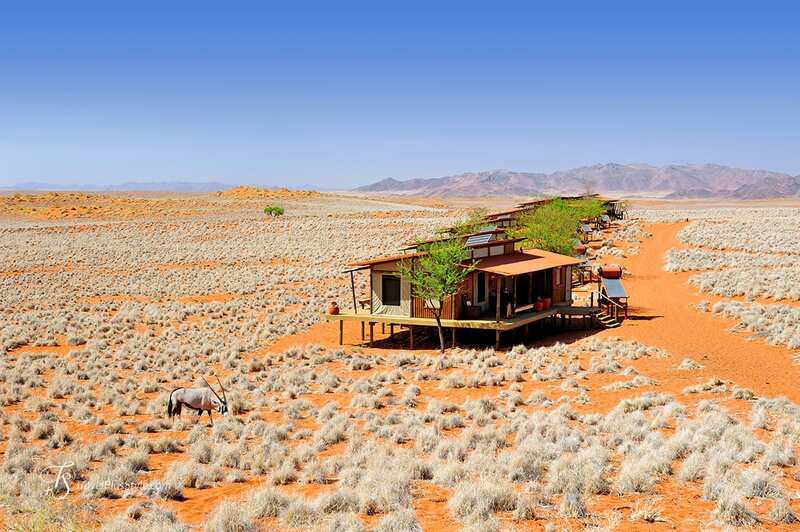 The lodge’s raised chalets feel integral to the spectacular outdoors, where the bone-dry, white plains and the red sand dunes extend to the dark mountain silhouettes—and well beyond. 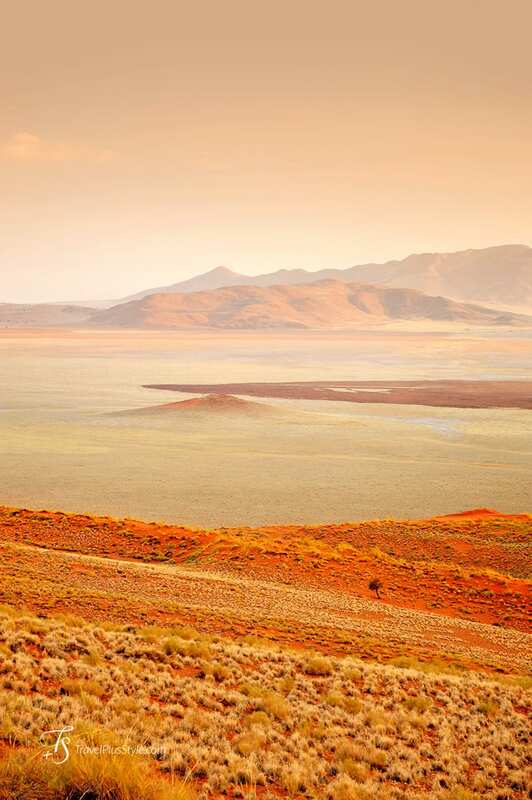 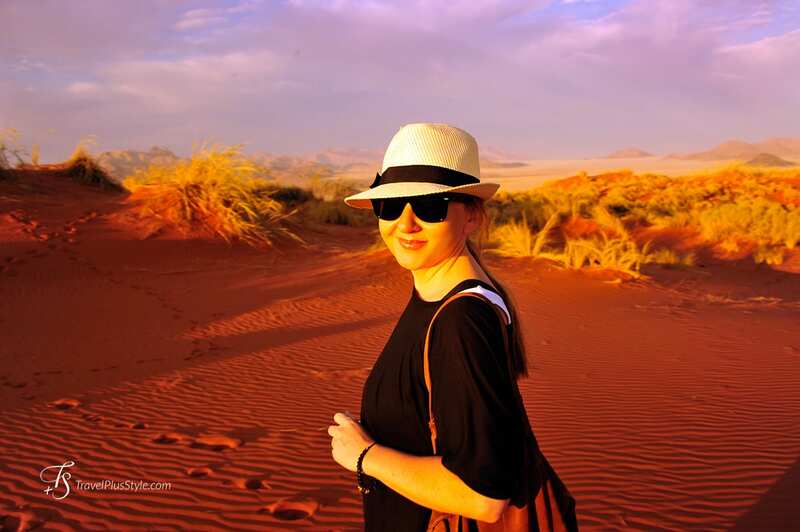 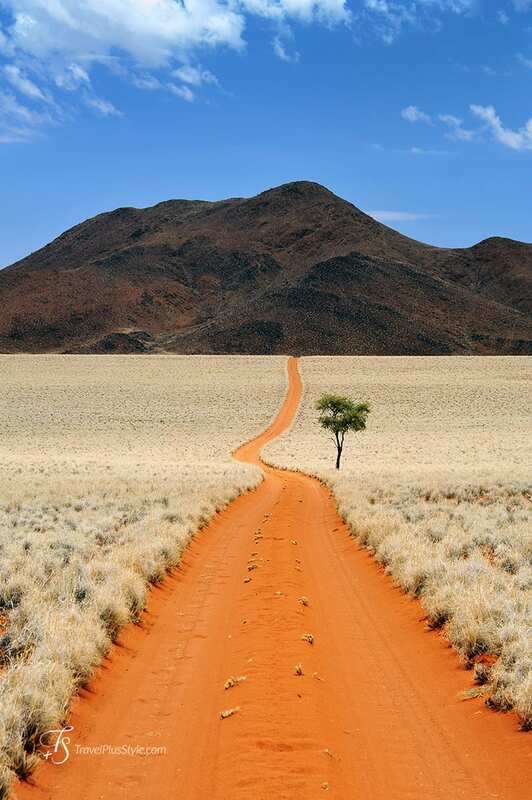 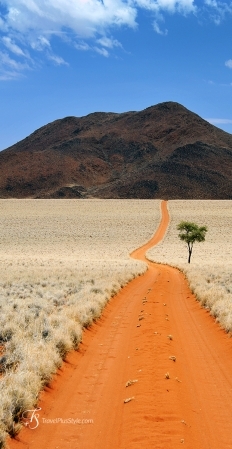 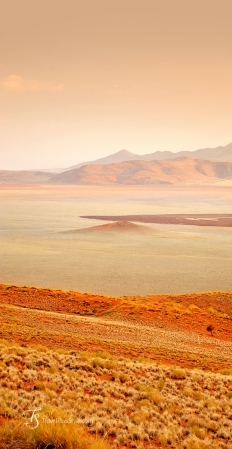 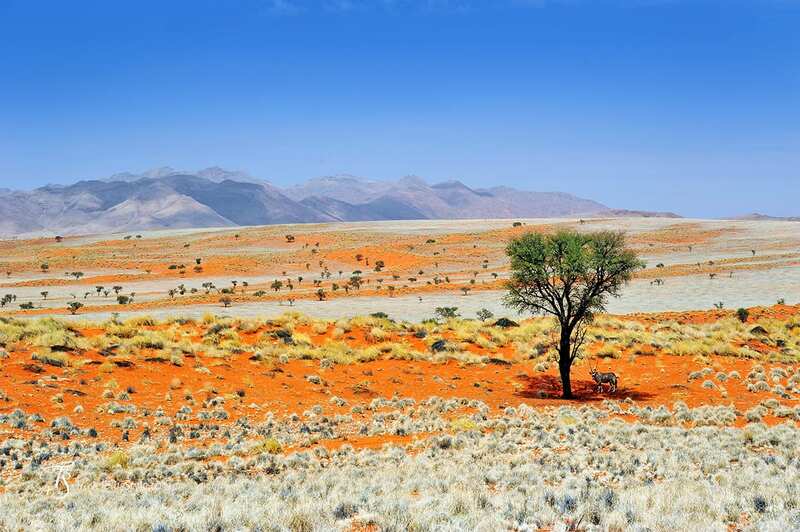 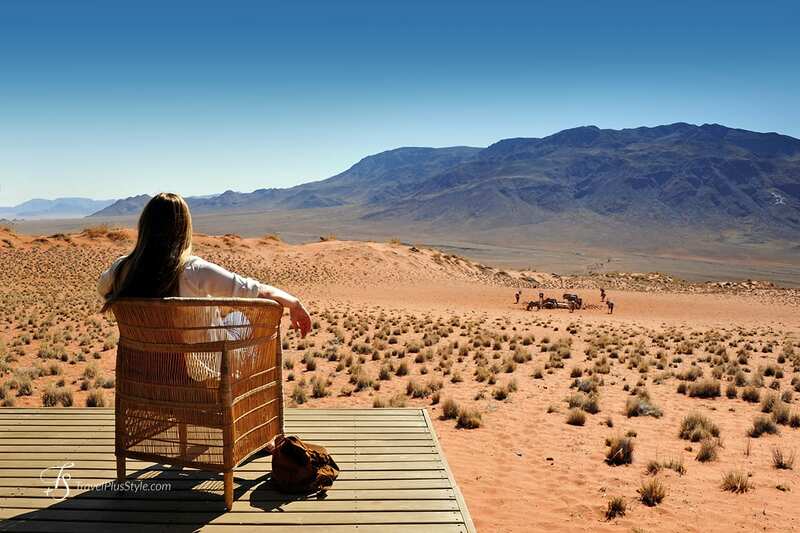 The Namib Rand Reserve is located on the edge of the Namib desert. 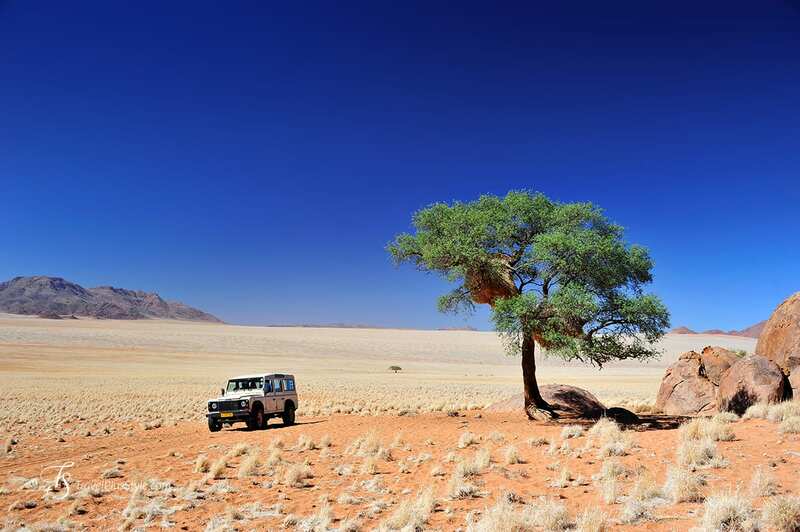 It's one of the most beautiful corners of Africa we've visited. 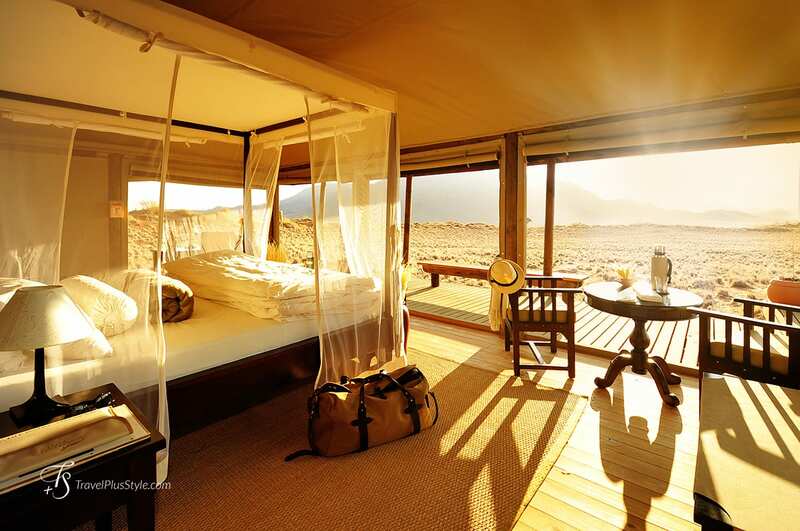 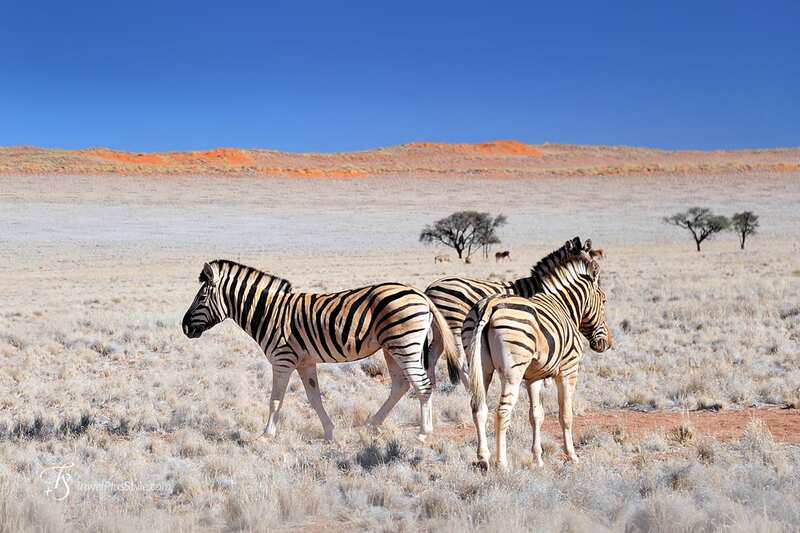 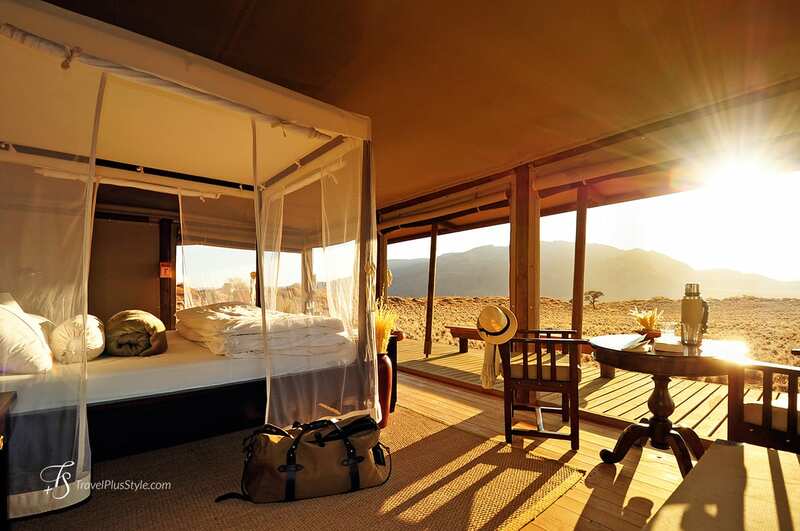 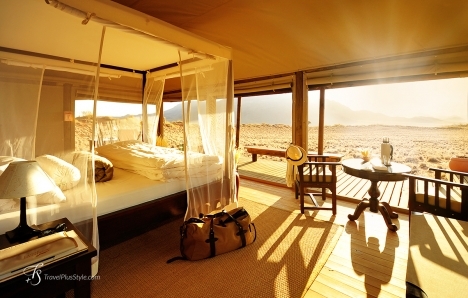 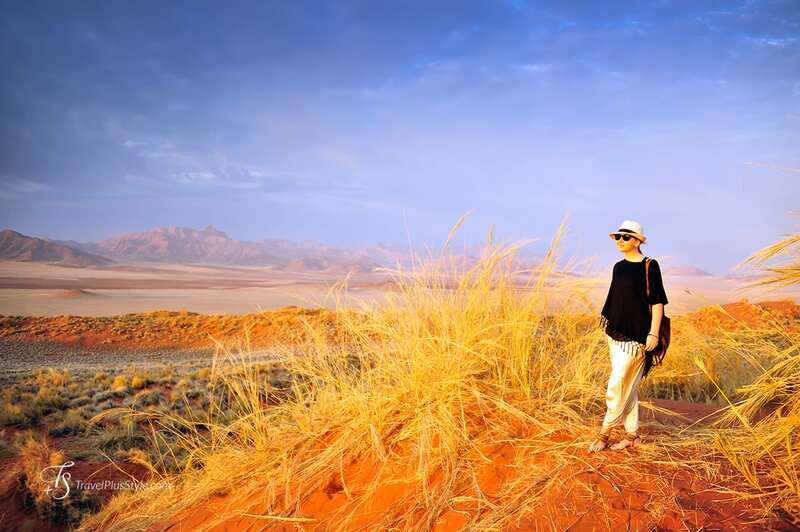 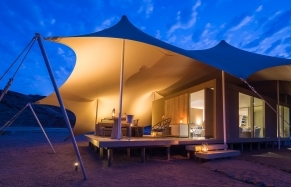 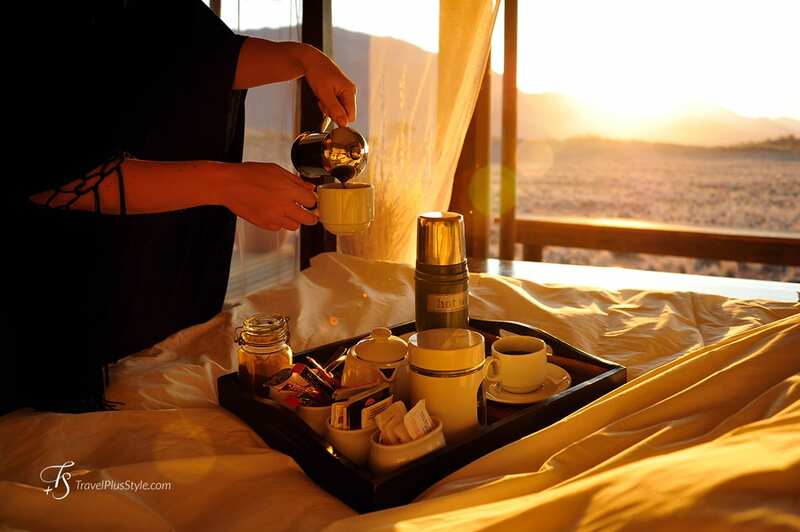 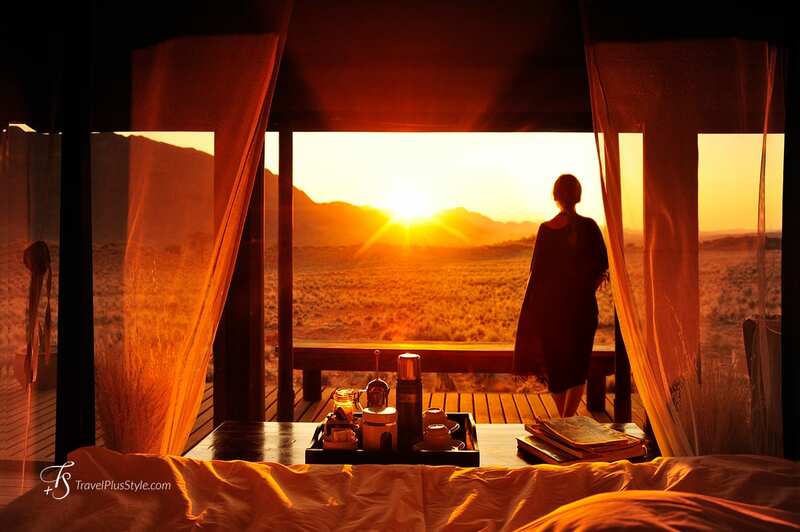 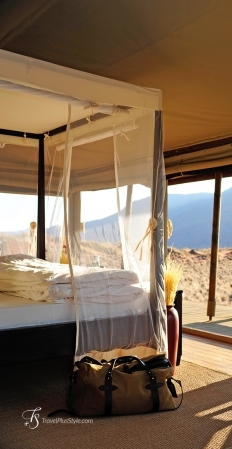 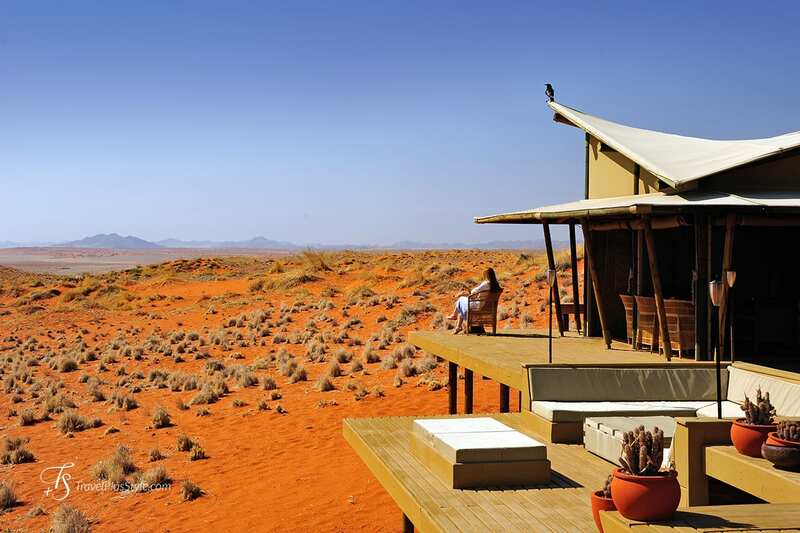 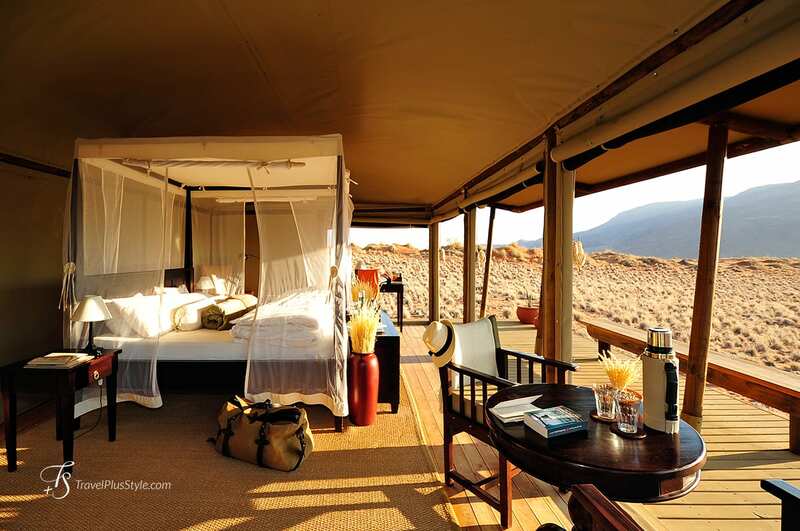 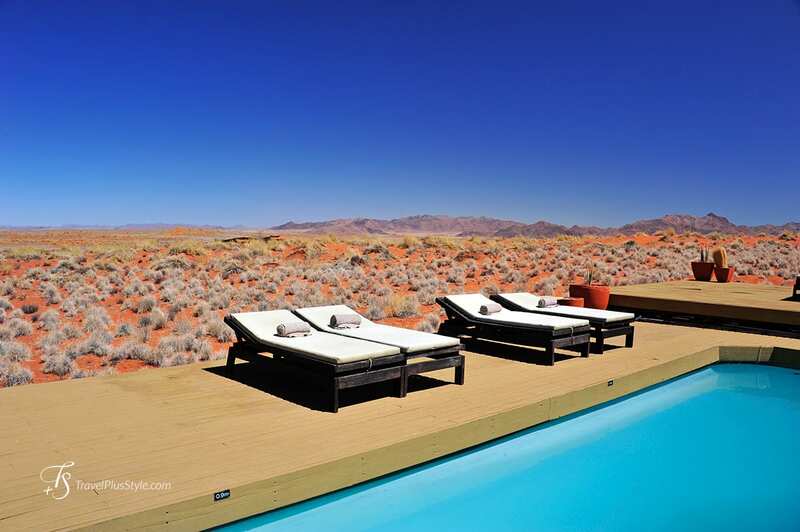 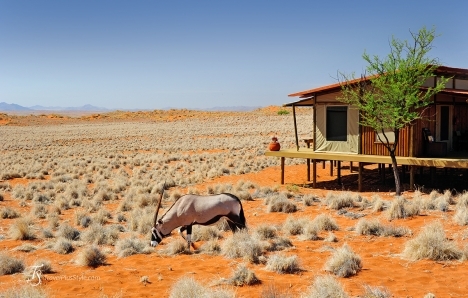 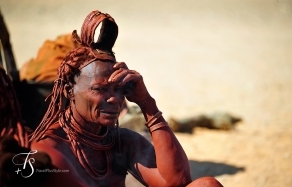 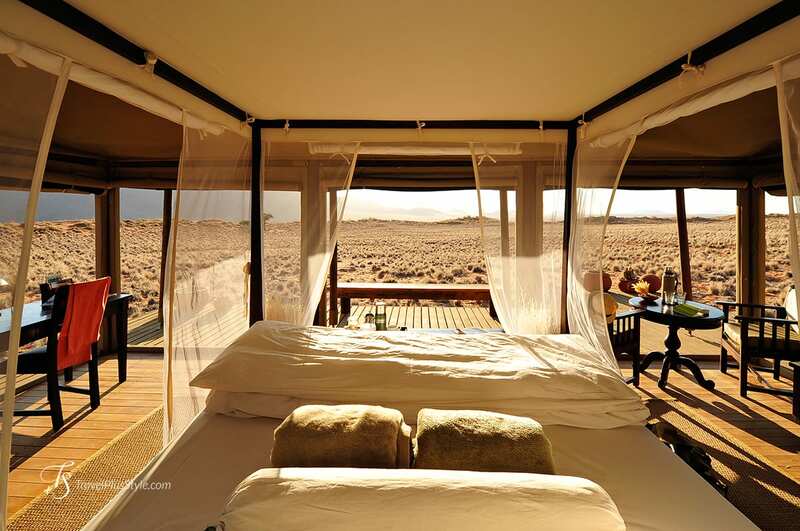 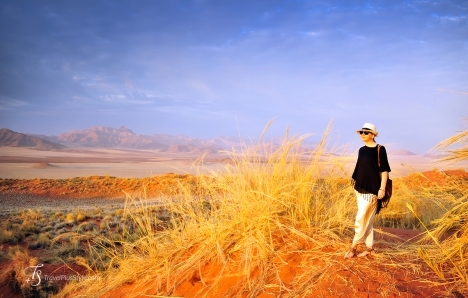 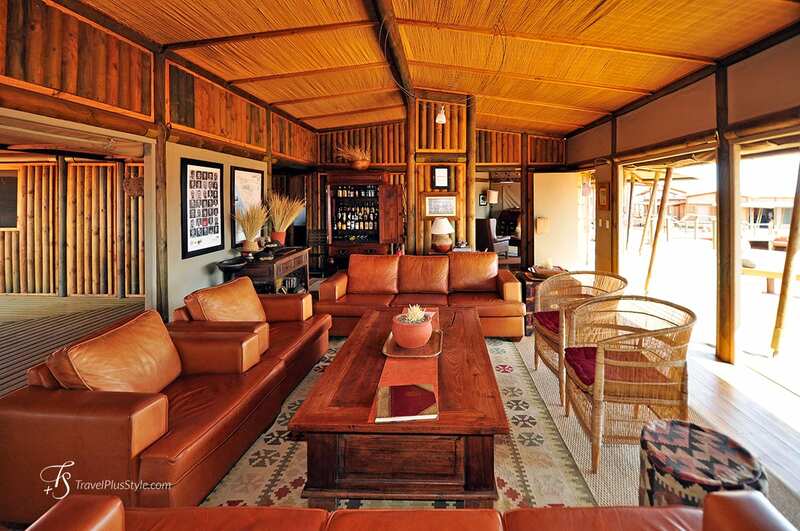 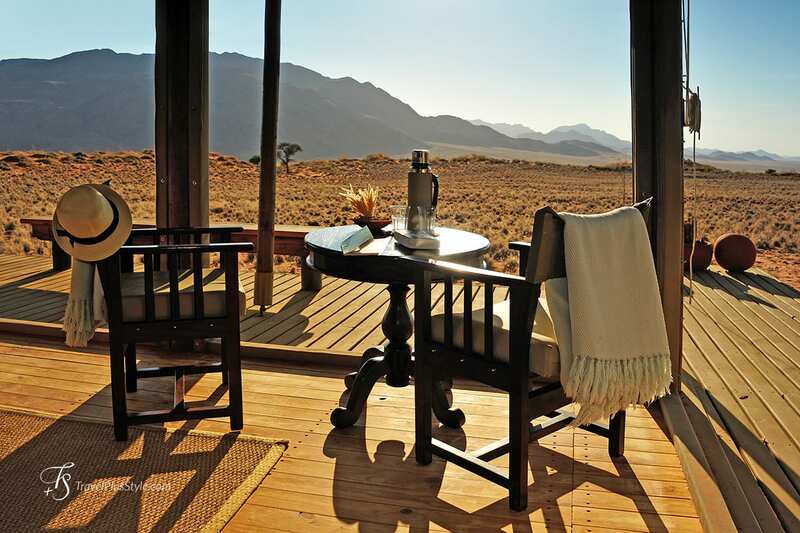 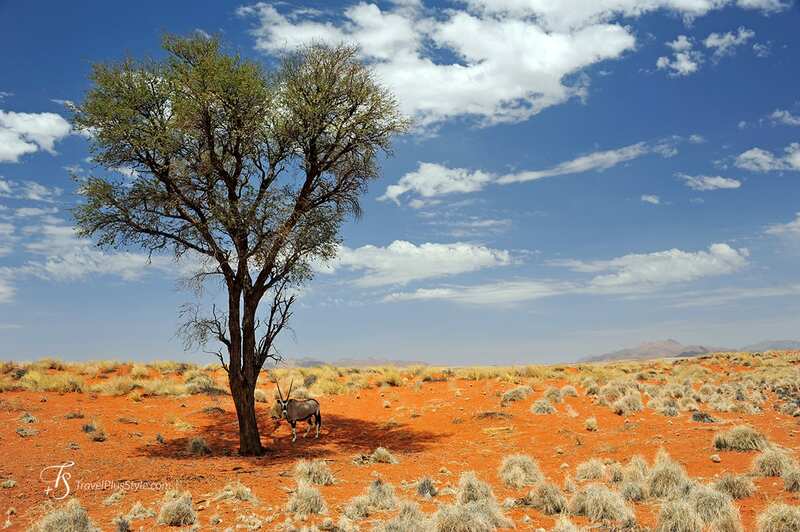 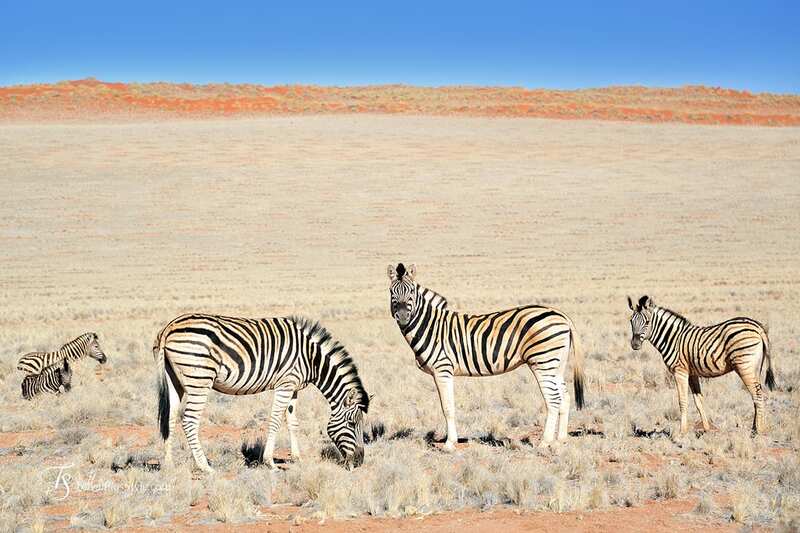 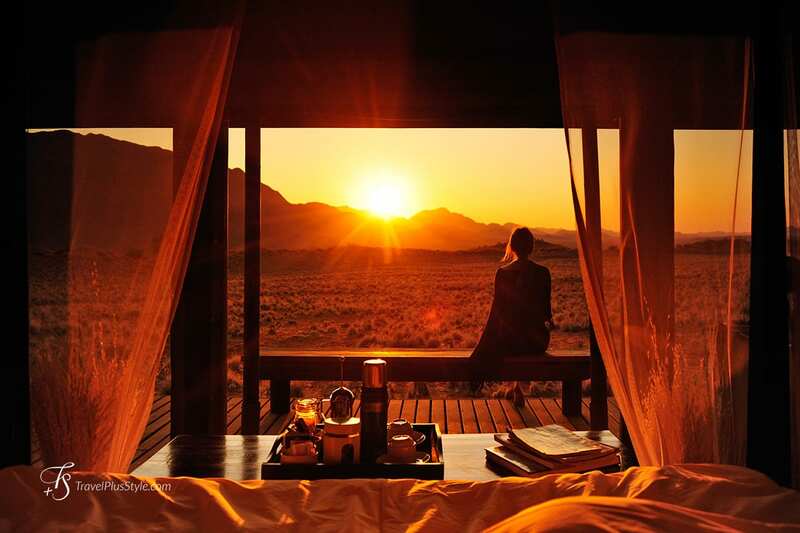 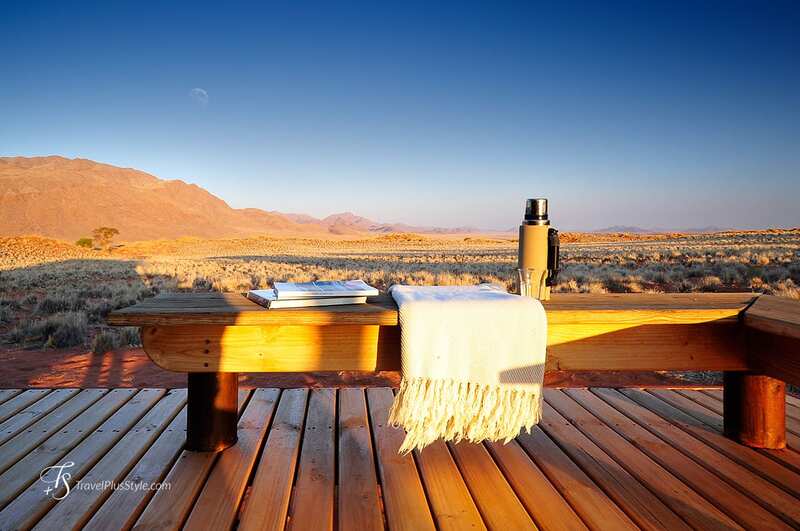 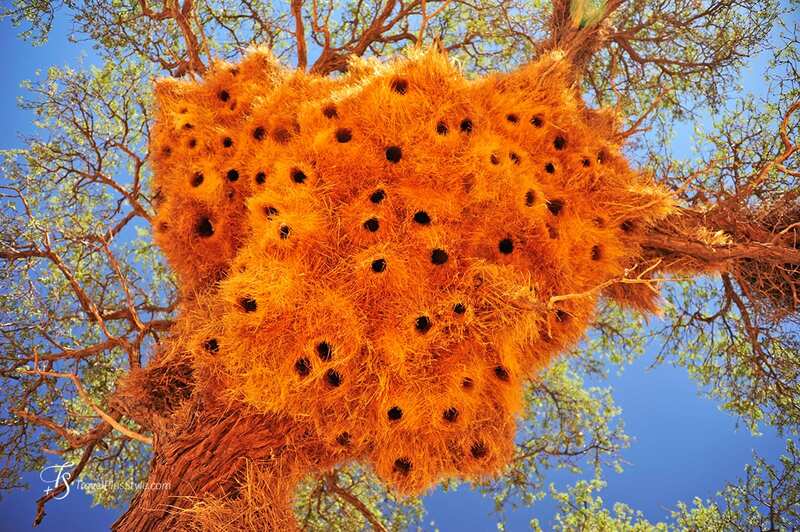 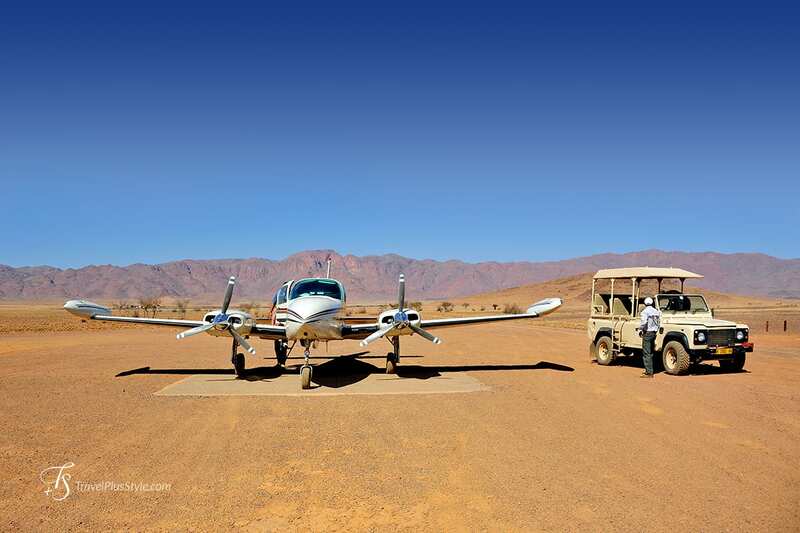 Wolwedans has four small lodges in the Namib Rand reserve. 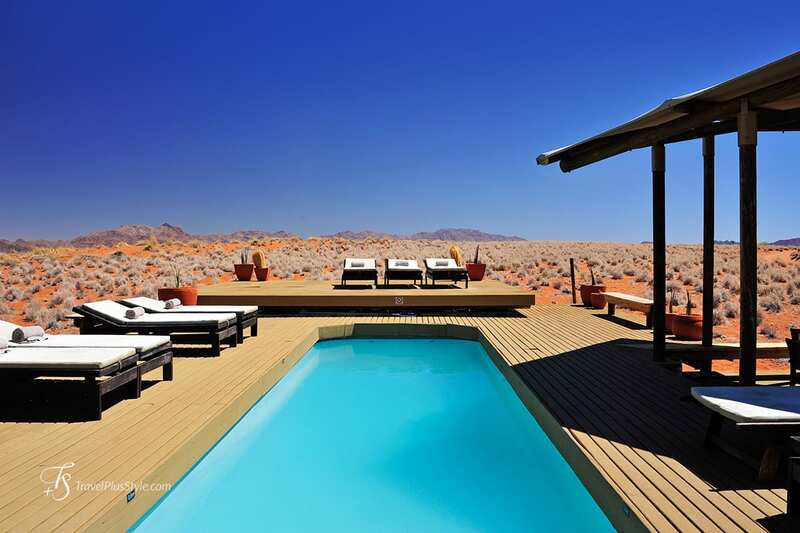 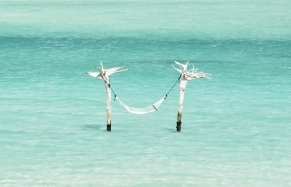 All are isolated and tranquil, but the Dunes Lodge is the easiest to reach. 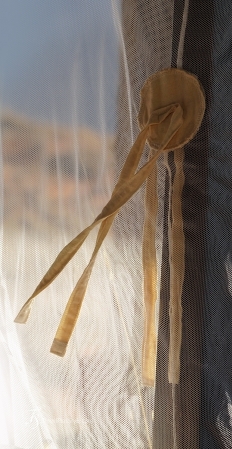 Wind flapping the canvas of the chalets is a reminder that the lodge is essentially open to the elements. 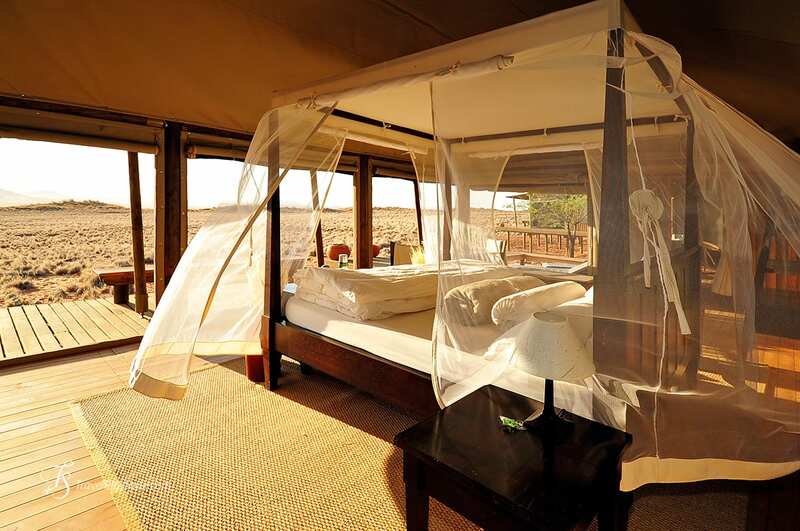 It’s a true tent accommodation. 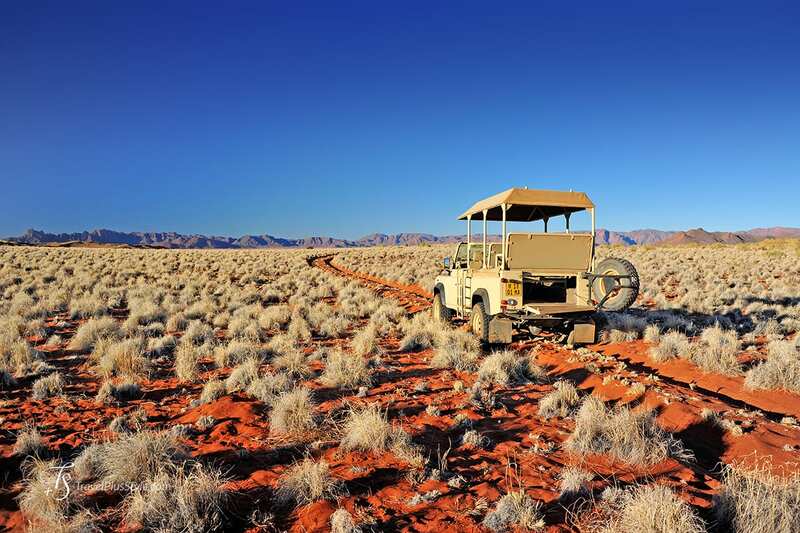 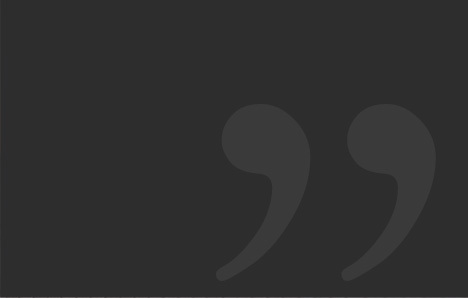 The safari drives are fantastic, in open vehicles allowing to take in the vistas—and the guides are truly great. 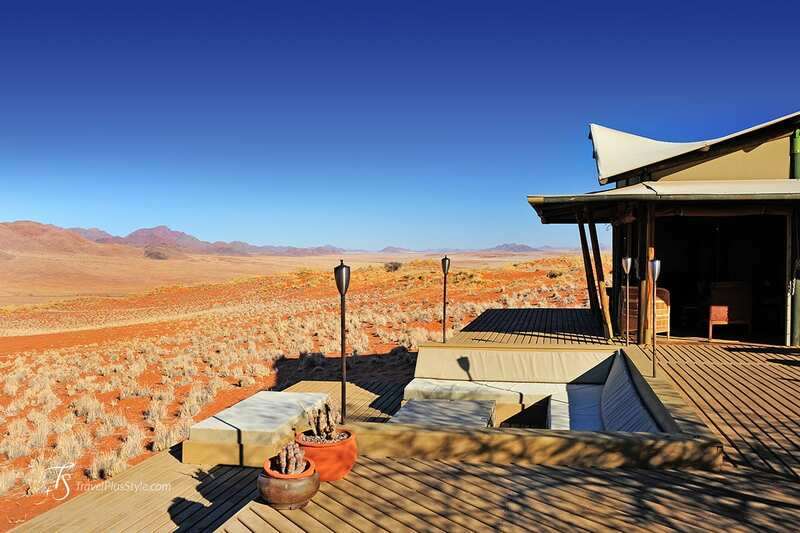 The design of the wood-and-canvas chalets is purposefully toned-down, as if not to compete with the beautiful surroundings. 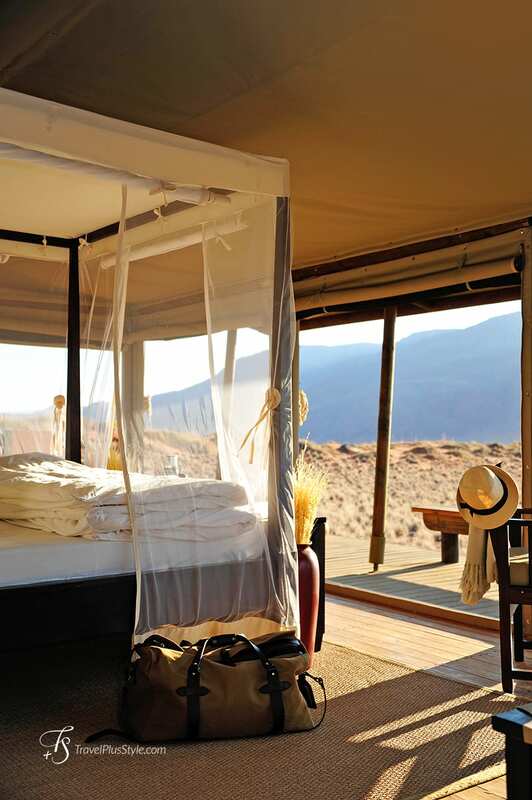 The style recalls colonial safari aesthetics. 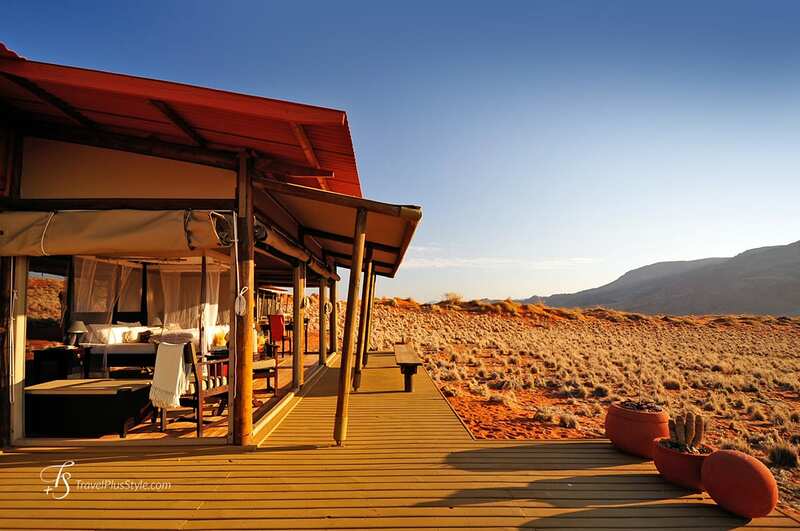 The food, including dishes made from local game, was the best we had in Namib Rand—and service was consistently outstanding. 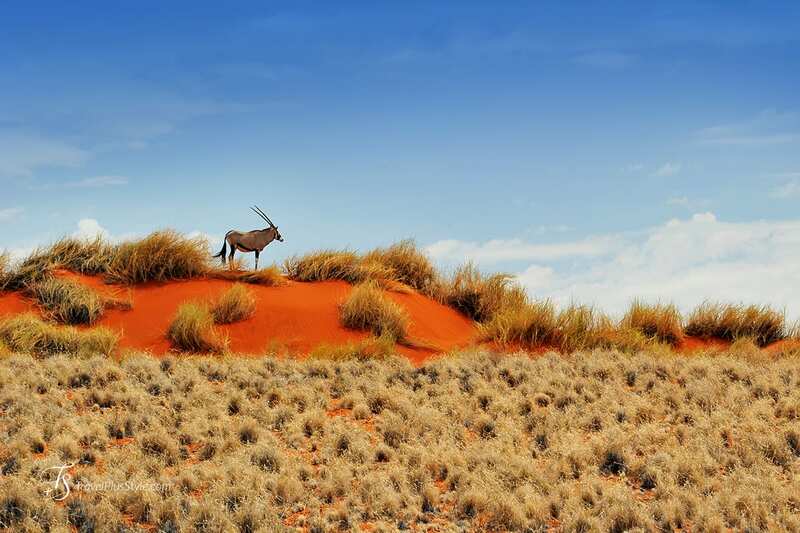 This private reserve has a plentiful stock of large game; zebra, oryx and springbok being the most common. 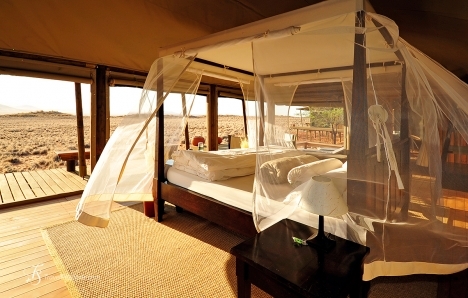 The simple luxury of this lodge combines excellent service with comforts of tented safari chalets.